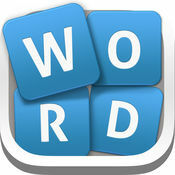 As with many other word based games, Word Guru is now providing daily puzzles. You should never forget to complete the daily challenges that you are provided with because you can win 230 coins for just one day challenge. The best thing about Word Guru game is that you are not restricted to any time limits. Therefore, you will be able to discover new words at your own pace. Since there are no time limits, you would never feel any stress when you are playing the game. You don’t need an internet connection to play the game as well. Therefore, you can simply take out your phone and start playing Word Guru whenever you get a free time to kill.